While many federal programs have worked to provide broadband connectivity to schools and community centers, the digital divide is still a very real problem for students when they arrive home. Housing and Urban Development’s ConnectHome program is designed to specifically target the “homework gap” realized by these children. As the logical next step to the Federal ConnectED initiative, ConnectHome will specifically target 28 communities nationwide. 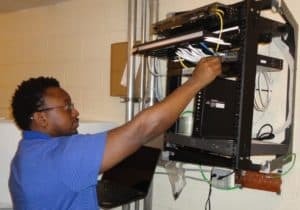 Embracing the spirit of the initiative, The National Foundation for Affordable Housing has already deployed broadband Wi-Fi service at three of its Baltimore communities. 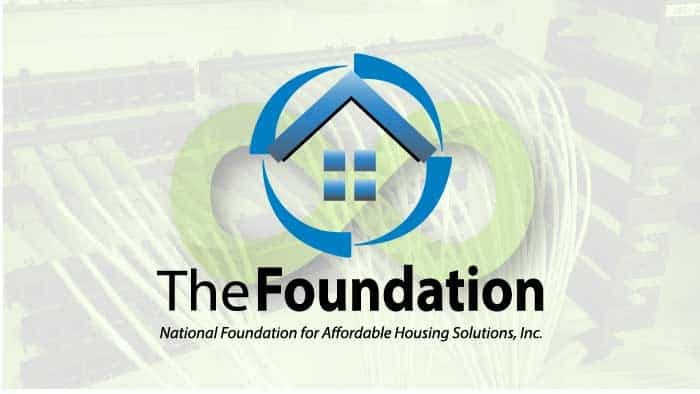 In 2016, The Foundation recognized the need to support the initiative as an internal goal and began searching for technology partners to create a cost-effective solution that would provide broadband connectivity to its residents. Ultimately, the Foundation found the right fit by looking to Mona Electric and Noovis as the technology team with the right solution. As of April of 2017 over 390 residents now have broadband connectivity in their homes with more already being designed. Since each property has a different footprint and unique RF characteristics, Noovis decided to create a reference design leveraging the latest Ruckus 802.11 ac wave 2 access points and Brocade switches. This design provides a baseline for coverage and provides the Foundation with budgetary pricing for their planning purposes. We then conduct a site walk to determine the exact requirements of each property. Ability to provide internet access/circuit provisioning upon request if and when needed. Cameras can be directly attached to the Wi-Fi access points providing active or passive surveillance of the site. All structured cabling work is performed by our partner, Mona Electric. By design, all work is performed in the community common areas to limit any disruption to the residents with all antennas designed to provide the best coverage for each floor. Efficient designs allow for multiple floors to be completed on a daily basis. Once the cabling is installed, the network is commissioned services up and operational in a single day. Residents are provided with a user orientation session to demonstrate how to access the network and answer any questions. 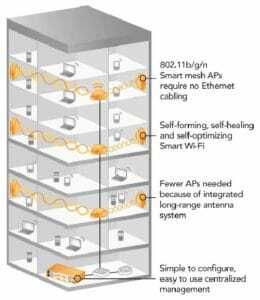 All antennas are designed to provide the best coverage for each floor. Efficient designs allow for multiple floors to be completed on a daily basis. Wireless access Points are placed in common areas to limit disruption to the residents. No access is required inside of the resident rooms. Efficient designs allow for a minimal “footprint” required at each location. All electronics are tested in the Noovis Innovation Center prior to being deployed on site to ensure streamlined commissioning the day of installation. Once the cabling is installed, the network is commissioned services up and operational in a single day. By designing and scaling the networks appropriately, Noovis provides ubiquitous connectivity throughout the property achieving data rates often higher than the government mandate of 25Mbs download and 3Mbs upload to the residents. All of the networks are managed by Noovis via remote connections to maintain high-availability at each location.